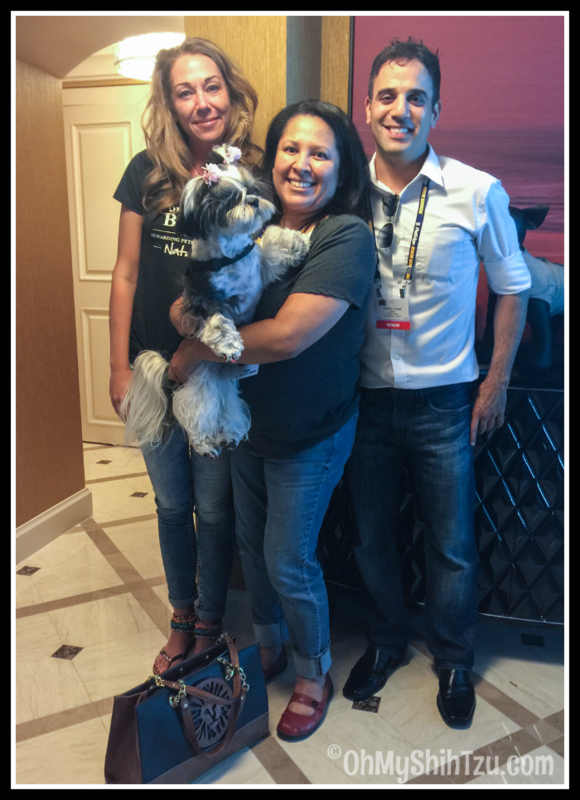 Last week Riley and I headed off to Vegas for SuperZoo 2015. SuperZoo is the largest pet retailer convention on the west coast. This was our third year attending this awesome convention and we wanted to share a few of our highlights. Our first stop Tuesday morning was a visit with the wonderful people of Petcurean. 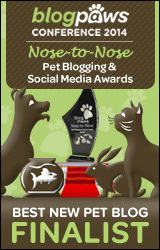 As you know Riley and I have been blogger advocates for Petcurean for the last six months. On Friday we introduced you to their wonderful new Limited Ingredient Diet recipes as part of the Go! line. 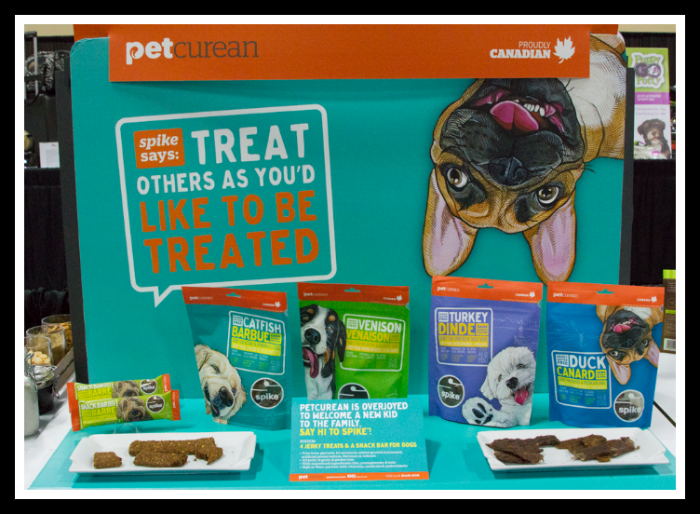 But Petcurean also introduced something new and exciting, TREATS!!! Once they hit the market we will tell you more about these tasty treats… until then just hold tight, I know you won’t be disappointed! One of our next stops was visiting Dr. Karen Becker at her family’s booth Dr. Becker’s Bites. This has to be one of the coolest families in the pet business! The Becker’s made our day when they let us know that Riley was part of their video! 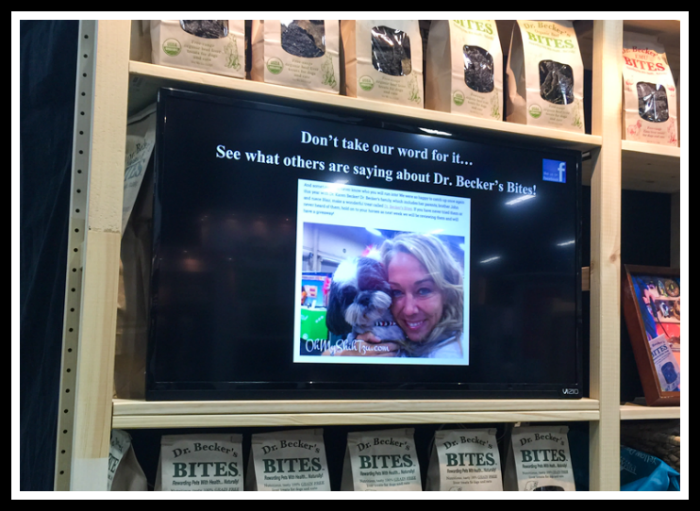 Be sure to come back next week as we share more about Dr. Becker’s Bites. This was such an honor for us! I met the Beckers 3 years ago at my very first SuperZoo and they have been a favorite of mine and a must stop by every single time! Next Riley and I headed over to the new product showcase! This is always a highlight of our trip. 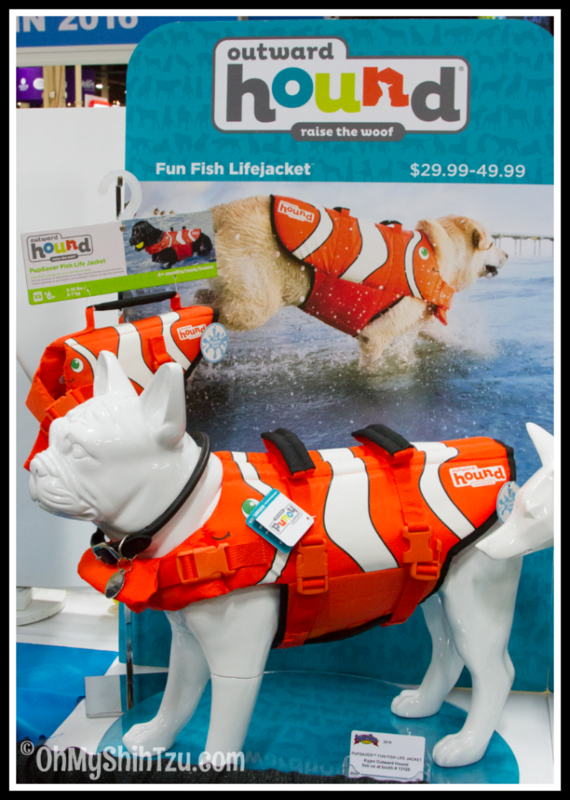 One of our favorite new products was the Nemo style dog lifejacket by Outward Hound! So adorably cute! I think we need another lifejacket! Riley would look so cute in this right? After a long day on the floor we ended our day with a cocktail party hosted by BH Pet Gear. The first person I see when I walk through the door is the man himself Rodney Habib along with Dr. Karen Becker! If you don’t know Rodney I suggest you check out his Facebook page Planet Paws right away! Rodney is a pet nutrition blogger who advocates for natural health and feeding for pets. I am a dedicated fan as I have seen my dogs thrive living a natural healthy lifestyle. Dr. Karen Becker, Riley, Me & Rodney Habib!! What a great way to end the first day at SuperZoo! Join us next week as we finish up our recap and start introducing you to some great products! 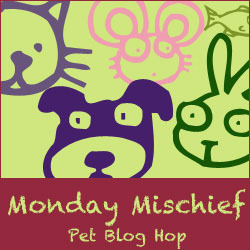 Today we are joining the Monday Mischief Blog Hop!! Be sure to check out the other blogs that are joining in today! « Jesse , Super Shih Tzu Saturday Shih Tzu of the Week! That looks like so much fun! Wish I could have gone. I’m waiting for someone to invent teeny tiny treats so I don’t have to cut them up. That is a sweet life vest! Looks like you had so much fun! Rachel Sheppard recently posted…Are Corgis at a Higher Risk for Lymphoma? Looks and sounds like an incredible experience. Tell me – if given only a budget for one event – which would you select Super Zoo or BP? They’re both unique so I’d love your feedback! I can only imagine how hot Vegas was! Great recap look forward to seeing more. Wow that looks awesome; I’m sad that I didn’t get to attend, but it’s so nice being able to see your recap so far. I feel like I’m getting the gist of how cool it really is. I’m such a big fan of Outward Hound, too. I wish I could have been there at SuperZoo. Those events are so much fun and I’m looking forward to your next post and learning about some cool, new products! I was so envious of everyone posting their awesome pictures from SuperZoo! I am such a dog product nerd, it looked like heaven to me. Looks like great fun! Hoping to go next year.